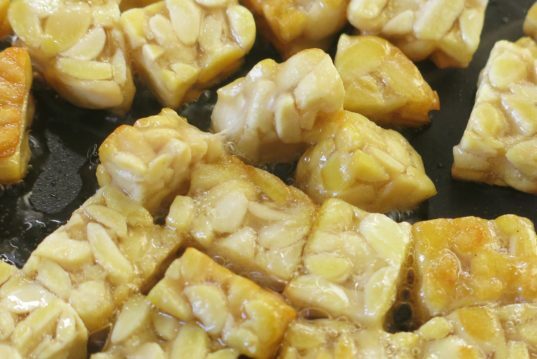 In Indonesia, tempeh skewers, served with a dipping sauce, are a popular snack food sold by street vendors. 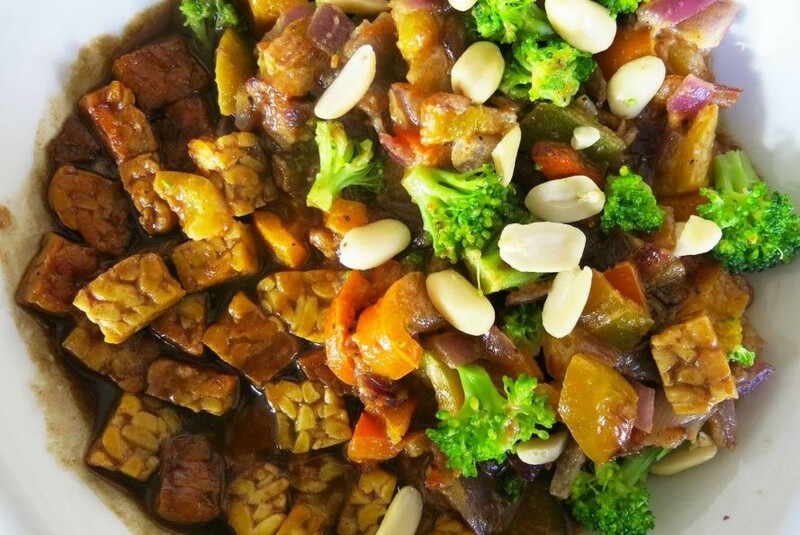 Here, we’ve taken the same ingredients, added some colorful veggies and created a sumptuous veggie stir-fry with golden tempeh cubes, broth and a milky peanut sauce. A great alternative to tofu, tempeh is a high-protein soy product that's nutty tasting and very versatile. 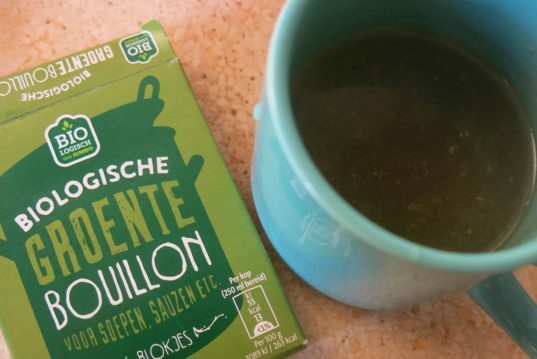 Dissolve a quarter of vegetable broth in 1/2 cup of hot water. Heat sunflower oil in a pan over medium heat (350° F). 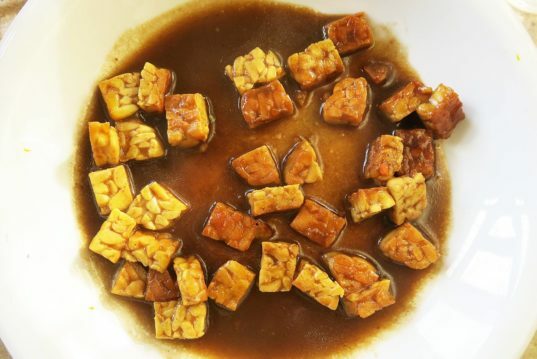 Cut the tempeh into small cubes and bring to the pan, sear for 3 minutes on each side. Add the broth and 1 1/2 tablespoons of tamarind sauce into the pan. Stir and cook until half of the broth evaporates and you get a thick broth. Transfer to a bowl and let cool. Boil the broccoli until tender, don’t overcook it or it will loose that nice bright green. Drain and set aside. 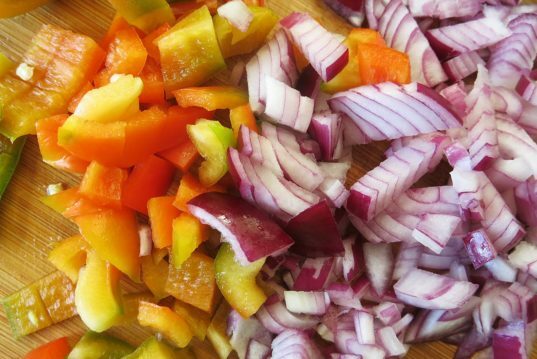 Chop the onion and bell pepper and bring it to the same pan you used for the tempeh (no need for extra washing up!) 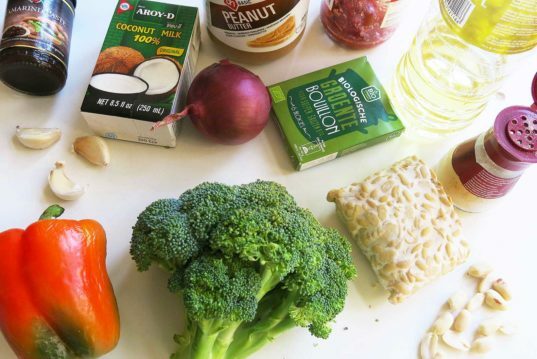 Add more oil if necessary and saute the vegetables for several minutes. Add the coconut milk, peanut butter dollop, garlic and ginger powder. 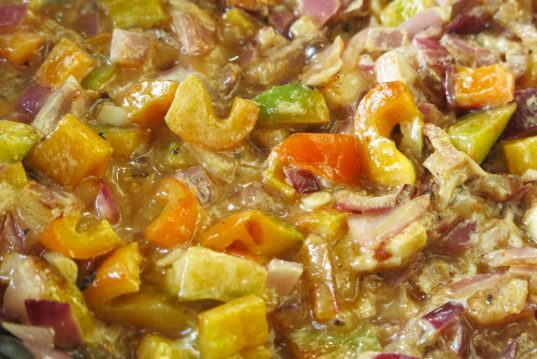 Stir-fry for about 2 minutes. 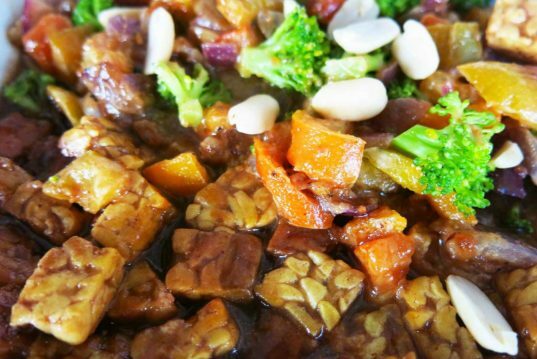 Serve the tempeh and vegetables together with a garnish of crushed peanuts. 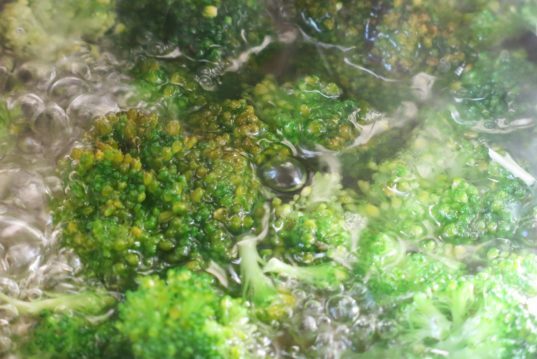 Boil the broccoli until tender, don't overcook it or it will loose that nice bright green. Drain and set aside.